How do you look when you feel like Squiggle? Four Squiggles without their faces! 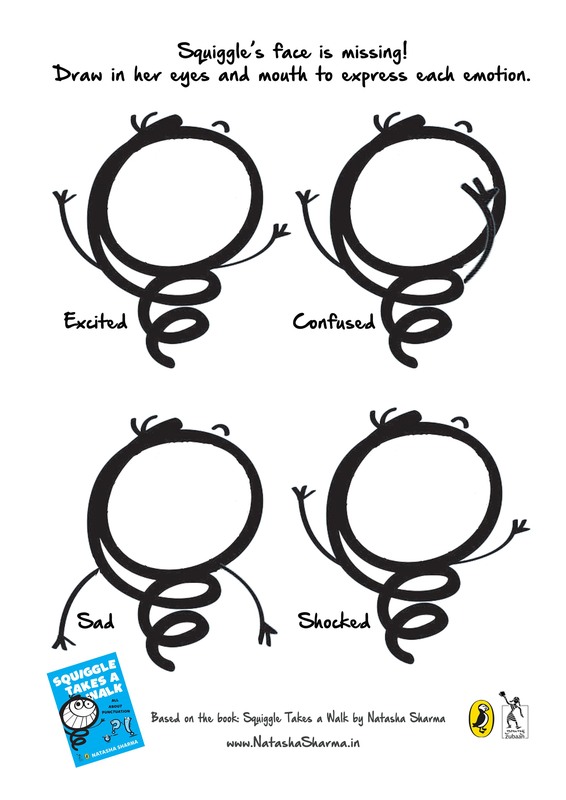 Draw Squiggle’s face to express each emotion mentioned. Need help? Stand before a mirror and see how your face looks when it is happy, sad, shocked or excited. Still unsure? Pick up Squiggle Takes a Walk and see how the illustrator, Vikram Nandwani drew her expressions.